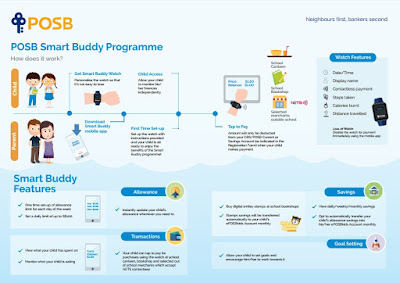 I applied for the POSB Smart Buddy watch for the 3 older kiddos recently. 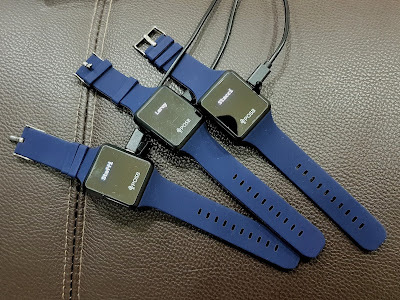 I would say that the technology behind making contactless payment in the watches is not ground breaking since we have had Android pay or Apple pay for quite a long time. 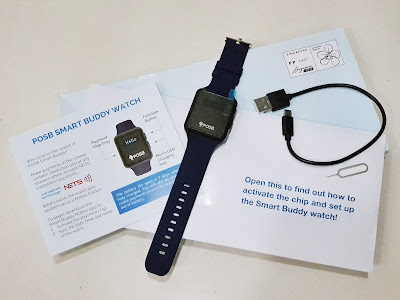 But what I was really interested in, would be the App that comes with the watches as it allows me to "control" the kiddos expenditure and to know what there were up to. I can now easily set the daily limit for them, and also find out for myself if they were buying food during recess or some random useless stuff from the bookshop. I am so glad that the school is one of the first few to get onto the program and now I need not search for the right amount of allowance early in the morning anymore! You get all the above, plus a payment chip. You will need to use the pin to push the slot out, and then place the payment chip (shaped like a SIM card) into the watch. I have heard from Steffi and Leroy that they ever borrowed money from their friends and even from the general office before, when they forgot that they have to stay back for CCA and did not get enough money for lunch. Borrowing is definitely not a good habit, and I would make it a point to remind them to return the money. Now that I have the App installed, I can remotely wired any money to them should the need be, and not have to worry about their repayment to anyone. Not to mention that now I will have greater insights into their spending habits. The watches come with residual battery for your setup, but needed to be charged before use. 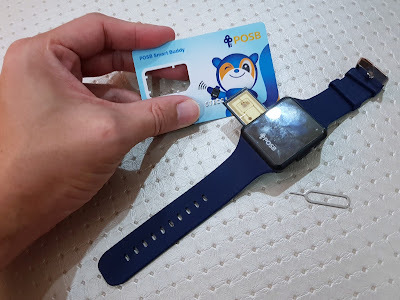 As with many other parents who are concerned that that the younger children may not be able to grasp the concept of digital payment and the idea of money, I too have my own reservations. I had ever heard my own kiddos retorting me, that the stuff they wanted only required my credit card and not my money! Scary thoughts indeed, but I guess it is really up to us parents, to educate our kiddos on the different types of “money” in the market, besides the physical cash. There is no escaping technology unfortunately and we should be prepared. This about sums up what the watch is all about. 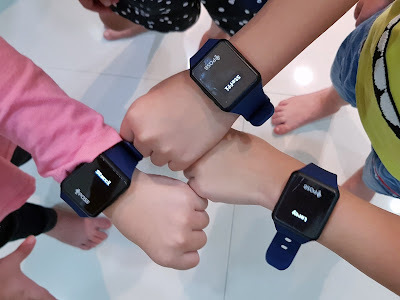 After I downloaded the app on my phone, I only needed to edit the profiles of my kiddos and sync their watches. From the individual profile, I am able to set their individual allowances, check their spendings and more. 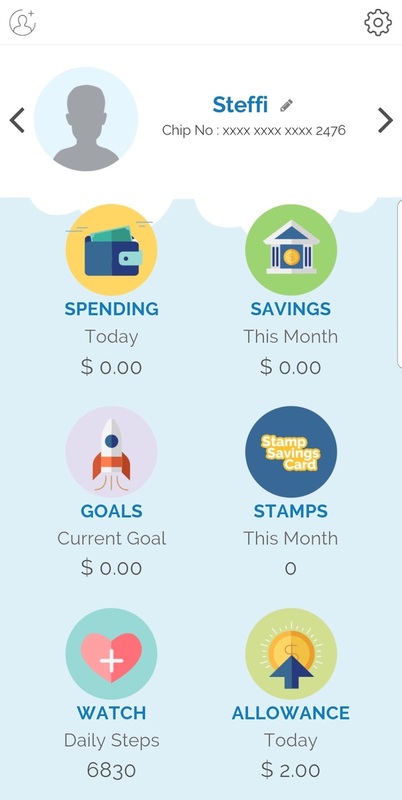 My kiddos could also set their own saving goal with the end in mind and work towards their ultimate reward at the end, purchased with their own savings of course! 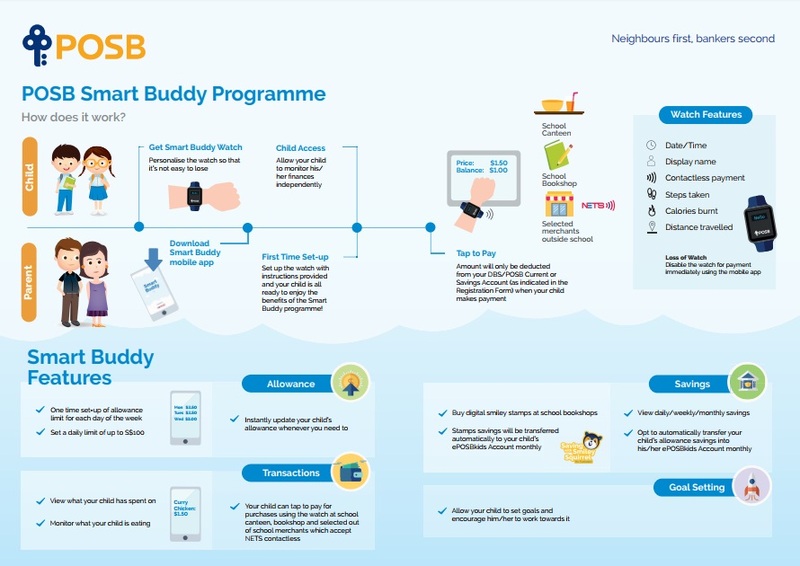 On top of that, they also buy their digital POSB Smiley stamps at their tuckshop for the National School Savings Campaign as well, with the option of crediting the stamp savings into their ePOSBkids account directly too. The kiddos have yet to really test their watches out by purchasing as they are currently having their holidays, but they already got the idea that it would be somewhat like tapping at the MRT gantries, albeit with their watches and not their cards. Now I shall just wait till school reopens, to find out what exactly they will be buying during recess! You should really check it out their official website too!